Thirty miles west of Phoenix sits one of the classic Arizona towns that sprung up in the late 1800's, was put on the map when the railroad came through, and stayed very small through the 20th Century. Buckeye, Arizona was founded by settlers in 1888 and incorporated in 1929 when it was a 440 acre town. The Buckeye of today spreads out over nearly 400 square miles, with municipal planning building the city out to 660 miles over the next three decades. Growth in the Buckeye Valley over the last decade has been phenomenal. The 2000 United States Census reported 2,158 households and 1,658 families living in Buckeye. By contrast, the 2010 Census reported 50,876 people now calling Buckeye home — a whopping 678.3% growth over ten years. Even with the growth, Buckeye remains one of Arizona's "biggest small towns." There are presently more than 30 master-planned communities and 240,000 homes in some stage of development. Communities under development in which homes are occupied include Sundance, Verrado, Westpark, Tartesso, and Festival Ranch. 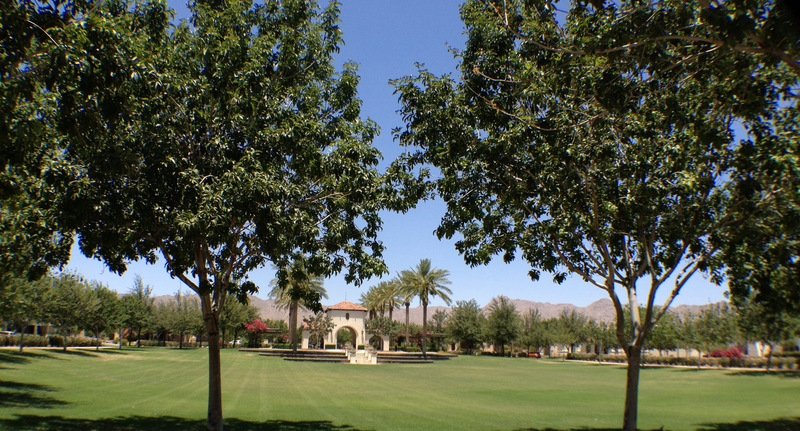 Other not-yet-built planned communities within Buckeye include Douglas Ranch (planned for nearly 300,000 inhabitants), Sun Valley Villages, Spurlock Ranch, Trillium, and Elianto, Westwind, Silver Rock, Sienna Hills, Henry Park and Southwest Ranch. Buckeye residents are serviced by several supermarkets and shopping malls. The Butcher & The Farmer Market is one popular venue, as well as Fry's Food Stores and a Wal-Mart Super Center. Sundance Towne Center is home to Lowe's Home Improvement, OfficeMax, PetSmart, Wells Fargo Bank and an assortment of other shops and restaurants. Residents of Buckeye enjoy more than 40 eateries ranging from national chains to upscale dining and even the local hole-in-the-wall. Foodies have migrated to the area, and many enjoy such local venues as the Verrado Grille, located at the Verrado Golf Club, and the La Placita Café, a less formal destination famous for its authentic Mexican Food. Longtime residents speak fondly of Sheep Camp Inc., famous for its melt-in-your-mouth Prime Rib and steaks and Darla's Country Kitchen, renowned for its French Toast and Mozzarella Cheese Sticks. The Buckeye Recreation Division provides an array of activities for its citizens. Residents can easily enroll in special interest classes, adult and youth sport leagues, special events, and aquatics. The Dr. Robert A. Saide Recreation Center is equipped with a large multipurpose room, a pre-school space, a kitchen and a recreation area. The "Drop Zone" after-school lounge features an 8-foot billiards table, foosball, air-hockey, board games, X-Box 360 and a flat screen television. There is also plenty to do for outdoors enthusiasts who frequent Buckeye Hills Regional Park, Estrella Mountain Regional Park, and White Tank Mountains Regional Park , all just minutes from downtown. Locals and visitors also enjoy the many events that happen throughout the year. Buckeye "Pioneer Days" every March features the Helzapoppin' PRCA Rodeo and Miss Helzapoppin' PRCA Rodeo Queen Pageant. A pancake breakfast and parade launch the festivities. The West Valley Air Fair in April and the "Swing & Sweat" Golf Tournament in August are must-see events. October brings Heritage Days; The Home Town Holiday Boutique, Car Show and Fall Demolition Derbyare in November. "Glow on Monroe," a popular Electric Light Parade and visit from Santa Claus, takes place in December. The Hohokam and Pueblo Native American tribes were early inhabitants of the valley where Buckeye now sits, and artifacts showing their story and the beginnings of the town are located downtown in the Buckeye Valley Historical and Archaeological Museum. The townspeople are fond of their history and a printed copy of the "Buckeye Historic Driving Tour" is available from the local Chamber of Commerce. But don't get the idea that Buckeye is stuck in the past — the motto for the town is actually "Proud of Our Past – Building Our Future." And this is evidenced by the modern programs emanating from the local City Council, including an emphasis on Green living and sustainability. The local Chamber also offers an online map showing all the locations where Wi-Fi service is available in town. And the locals of today favor such activities as swimming and waterslides at the Buckeye Aquatics Center. Buckeye also has its own municipal airport where gyroplane flights, skydiving lessons , and flight instruction are available. Buckeye is centrally located about a half-hour from Phoenix and is intersected by five highways, making access to and from very easy for work and nightlife and sporting events. Residents cherish the ability to be able to be part of a major metropolitan city and at the same time be far enough away to feel like they are in a small town when they are home. Buckeye is located atop the Hassayampa River Basin, Arizona's largest untapped, underground aquifer, and has magnificent views of the nearby White Tank Mountains. A variety of school districts serve the Buckeye area, including three elementary districts, two high school districts, and two unified school districts. Where a student goes is dependent on what district he or she lives within. Buckeye is also the home the K-12 Odyssey Preparatory Academy, a charter school that allows families to live in our out of the district's boundaries. The progressive academy offers lessons besides learning reading, writing and arithmetic. Odyssey students also enjoy the option of an outdoor classroom where they learn lessons in self-sustainability (like harvesting rainwater to grow vegetables), business economics and community service. An array of medical services is readily available, from family practitioners to pediatric medicine, dentists, dermatologists and other specialty services. Southwest Family Medicine's Integrated Medical Services is one such medical provider, with offices in Buckeye and in the surrounding communities. Several urgent care facilities are centrally located throughout Buckeye, and the closest hospitals are only 13 miles away in Goodyear, and 30 miles away in Phoenix. Most medical needs are met right in town. Veterans are served by the U.S. Department of Veterans Affairs Clinic, located on E. Monroe Avenue. Adelante Healthcare also services people of all economic backgrounds in Buckeye and the greater Phoenix area. Buckeye is situated off of Interstate 10, so there is easy access to and from the community from Phoenix, Glendale, Avondale, and other nearby towns. Visitors can also arrive via state route 85 from the south on a route that takes them through Buckeye Hills Regional Park. The area is also served by Valley Metro, which provides service to nearby destinations like Phoenix, Goodyear, Gila, and Bend-Ajo, and the municipal airport makes it easy access to those able to fly in or out of the area. To work with a team experienced with listing and selling Buckeye Residential Real Estate contact Tony & Suzanne today!